2012 COPO Camaro Ordered and on its way to UTAH! 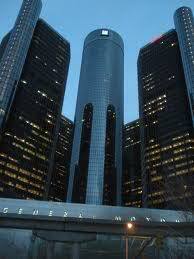 Since I heard about GM thinking of the concept of the COPO I got excited. GM Has worked at it and decided to go forward with the program! Great, now how does one get one. They had 2000 on their list, with other people waiting and wanting one. GM Took an outside source and had them draw names at random. I was drawn 27th, and got contacted by GM to put together my COPO (Central Office Production Order) to build my one off, no VIN, No Title, Factory Build COPO Camaro. Over the phone we worked out the details, and they are working on the paperwork for my Black with Blue striped COPO with the NA 427 installed. I am really considering ordering the other two engines as you can get a package with all 3 engines, and they will deliver the other two with matching VIN Numbers! Pictures and more info to follow. In for pics when the monster arrives!! Wow! That's awesome! Congratulations man, if it were me I would likely consider ordering it with all three engines! But of course I'm sure the price increases considerably. But we look forward to updates, pics etc..
Subject: Re: 2012 COPO Camaro Ordered and on its way to UTAH!